There are arrangements between the Conon Syndicate and Brahan Estate allowing for brown trout fishing on 3 stretches of the North bank of the Brahan Fishings. 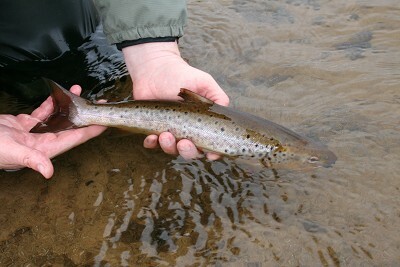 Day tickets for trout fishing here are now offered exclusively by TroutQuest. The approximate boundaries of the sections reserved for trout fishing are marked in yellow below, but the definitive boundaries are marked by signage on the river bank. 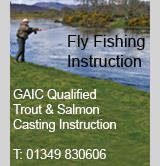 Permits to fish the Brahan Estate trout waters are available from TroutQuest (Tel: 01349 830606) and cost just £12 per day.